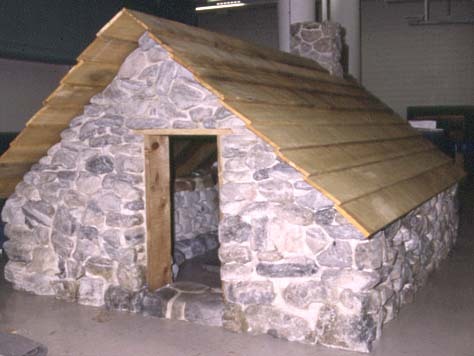 he final act of the expedition was to build a small stone house as an experiment to see how English buildings survived Arctic winters and as a means of attracting the Inuit to peaceful trade. 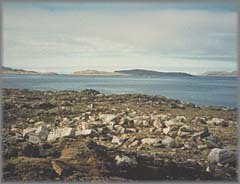 The building was constructed at the summit of the Countess of Warwick's Island. 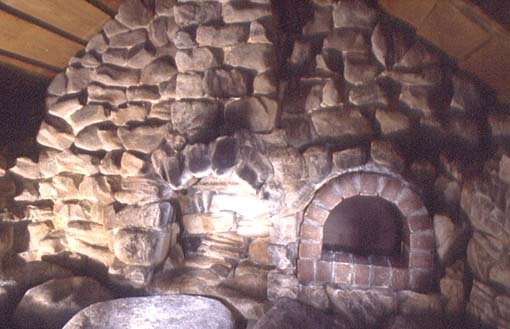 From its walls hung mirrors, bells, whistles, toy figures, and other items; bread was also baked and left in the oven for the Inuit to taste. 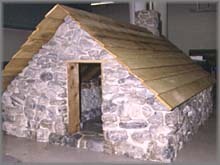 Reproduction of the stone house built by Captain Edward Fenton on the summit of Kodlunarn Island in August 1578. "This daye the Masons finished a house which Captaine Fenton caused to be made of lyme and stone upon the Countesse of Warwickes Ilande, to the ende we mighte proue againste the nexte yere, whether the snowe coulde ouerwhelme it, the frosts breake vppe, or the people dismember the same. And the better to allure those brvtish and vnciuill people to courtesie, againste other times of oure comming, we left theirin dyuers of oure countryie toyes, as belles, and kniues, wherein they specially delight, one for the necessarie vse, and the other for the great pleasure thereof. Also pictures of men and women in lead, men a horsebacke, lookinglasses, whistles, and pipes. 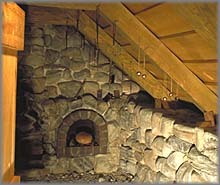 Also in the house was made an ouen, and breade lefte baked therin, for them to see and taste." 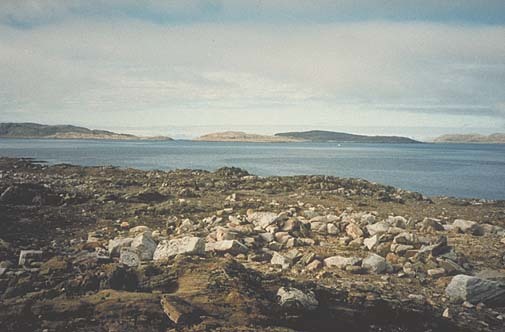 The remains of the house built by the English are still clearly visible on the summit of Kodlunarn Island. 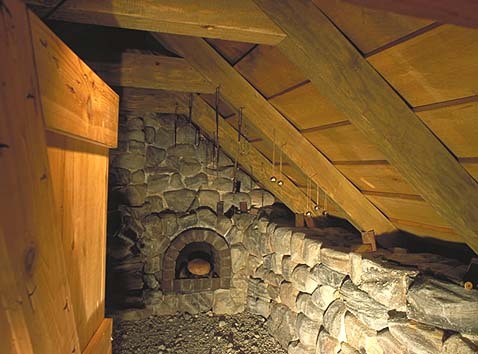 They are the earliest known remains of a European house built in America north of the Caribbean.